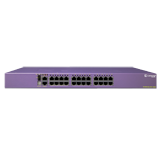 The ExtremeSwitching X440-G2 series is a scalable cost-effective family of edge switches powered by Extreme Networks ExtremeXOS, a highly resilient OS providing continuous uptime, manageability and operational efficiency. The X440-G2 series switches provide high-performance routing and switching, flexible stacking, PoE-plus support and comprehensive security, while extending the benefits of ExtremeXOS to the campus edge. The X440-G2 Series easy-to-use, yet powerful, management services include role-based policies for controlled access to specific network applications. Select X440-G2 Series switches can also be cloud-managed via ExtremeCloud™, Extreme Networks innovative single-pane subscription-based management solution. The X440-G2 Series supports sophisticated and intelligent Layer 2 switching, as well as Layer 3 IPv4/IPv6 routing. They also support role-based policy capabilities, Provider Bridges, bidirectional Access Control Lists, as well as granular (8 Kbps) ingress/egress bandwidth control. Altogether, these enable fine-grained control over traffic flows, as well as controlled access to specific network services and application. All X440-G2 base models come equipped with 4 upgradeable 1GbE ports, resident on either the faceplate or rear panel of each model. These 1GbE ports can be upgraded to 10GbE Ethernet via a simple software license. This gives administrators the option to increase switch uplink speeds without replacing the entire switch. ExtremeXOS SummitStack-V capabilities allow up to eight X440-G2 switches to be stacked together via two of the native X440-G2 stacking ports. SummitStack-V allows use of standard 10Gb Ethernet cabling and optics technologies, providing longdistance stacking connectivity of up to 40 Km while eliminating the cable complexity of non-standard stacking options. X440-G2 switches can be stacked with other X450-G2, X460-G2, X670-G2 and X770 switches via SummitStack-V so long as all are running the same version of ExtremeXOS. X440-G2 Series switches support both IEEE 802.3at PoE-Plus and IEEE 802.3af PoE to enable connection of standardscompliant PoE devices today and into the future. 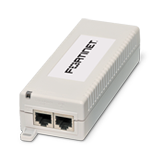 Power over Ethernet allows connection of Ethernet-powered devices, such as wireless access points, Voice over IP phones, and security cameras. The X440-G2 can also support full PoE-Plus 30W power across all 48 ports with an external redundant power supply (RPS). The X440-G2 supports role-based policies that can be centrally administered through the ExtremeManagement (formerly Netsight) policy manager. This policy framework empowers network administrators to define distinct roles or profiles to represent industry-specific operational groups that may exist in an education or a business environment (e.g., administrator, teacher, student, guest). Each defined role can then be granted individualized access to specific network services and applications and these access privileges remain associated with users as they move across both wired and wireless network access points. 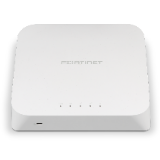 Provides a single plane of glass for cloud managing both the wired and wireless components of your network. Zero touch provisioning also significantly reduces deployment times. Select X440-G2 models have been enabled for use with ExtremeCloud. 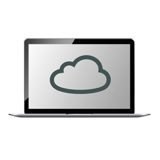 See the ExtremeCloud Data Sheet for details. All X440-G2 switches have a USB 2.0 port that is supported as a port to a storage device for all EXOS versions of 22.1 or higher. These features ensure both the security of the network and of users accessing the network. The X440-G2 series supports IEEE 802.1 Audio Video Bridging to enable reliable, real-time audio/video transmission over Ethernet. AVB technology delivers the quality of service required for today’s high-definition and time-sensitive multimedia streams.